The What: Adder Technology is set to begin shipping ADDERLink ipeps+, an evolution to its ipeps range of remote access products. The What Else: Featuring a host of technological developments, ADDERLink ipeps+ is designed to bring enhanced remote access functionality to all industries where security and video quality are business-critical. In many markets, where computers are situated in restricted or difficult-to-access areas, such as industrial sites, silicon fabrication plants, and offshore locations, the need for secure and responsive remote control is paramount. Any delay, even if only a second, could affect the entire operation. In response to this need, Adder has developed the ipeps+ to provide smooth-motion video at up to 30fps together with 24-bit color depth over IP. This addition to the Adder portfolio enables organizations to securely view and edit HD video from anywhere in the world as if they were locally connected to the target computer. 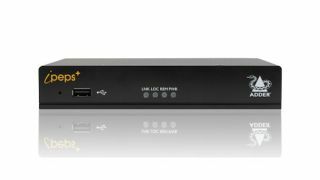 The Bottom Line: The ipeps+ is a remote access solution for environments where security is critical. A public-to-private network separation plus AES encryption minimizes the risk of an external security breach, while user access profiles and integration with Microsoft Active Directory ensure internal security is not compromised. The ADDERLink IPEPS+ will be available through Adder’s global network of subsidiaries and channel partners from January 31, 2019. See ADDERLinkipeps+ at the Adder Technology stand at ISE 2019 (Stand 10-R130), February 5-9 at the RAI Amsterdam.